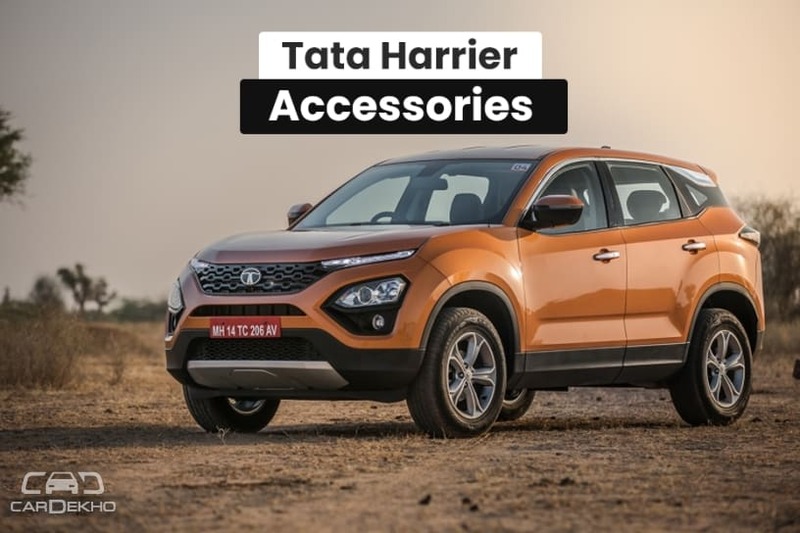 The hotly anticipated Tata Harrier just hit the market and to keep it a cut above the competition, the company has launched a slew of accessories. 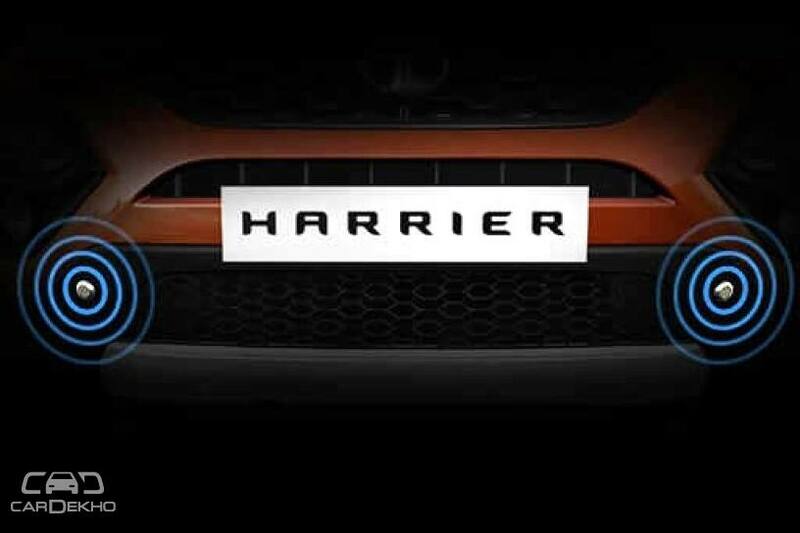 A multitude of interior and exterior accessories are on offer to help make every Harrier unique. The exterior has the most number of accessories. The ever-popular chrome treatment can be made to most exterior elements. These include front and rear bumper, fog lamps, ORVMs, exhaust, upper and lower boot, door handles and mouldings all around. A unique chrome treatment, called the Humanity line also runs below the entire length of the front grille. These chrome accessories are priced in the range of Rs 1600 – Rs 5370. For the lower variants, Tata is offering LED DRLs and fog lamp upgrade, costing Rs 15,984. This should help improve visibility in low light and fog conditions. Side steps (Rs 18,055) can be attached to help ingress and egress, especially for the elderly. Attaching a roof carrier can be done with the help of the roof rails which are being offered for Rs 9,090. For those tight parking spots and in bumper to bumper traffic, the optional front parking sensors are certainly a boon. These can be installed for Rs 3,730. 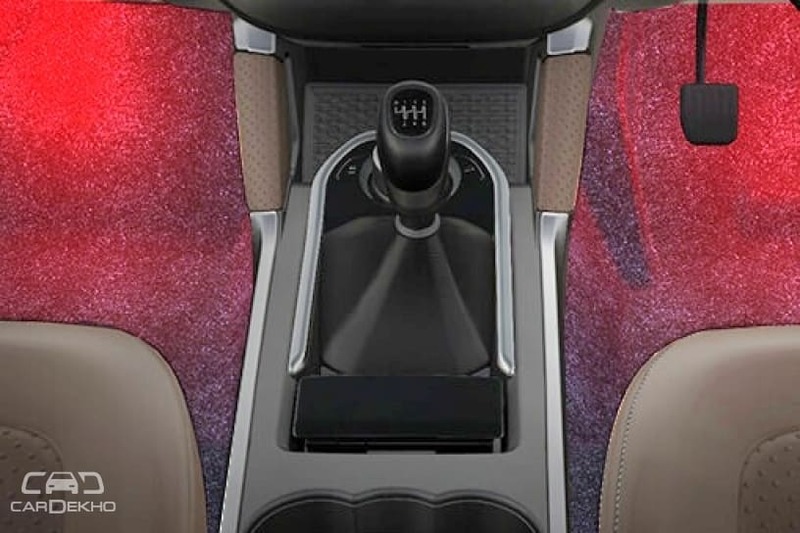 To set the mood for the interiors, ambient lighting is an option for Rs 5,778. Helping things to stay clean are the dash, floor and trunk mats priced between Rs 1,250 – Rs 4,160. A majority of these accessories are cosmetic in nature and it would have been thoughtful of Tata to offer more for the lower variants. Options like alloy wheels, rear parking camera, touchscreen system would have been a welcome choice. It is surprising to see that no sunroof is being offered as an accessory, like in the Hexa. 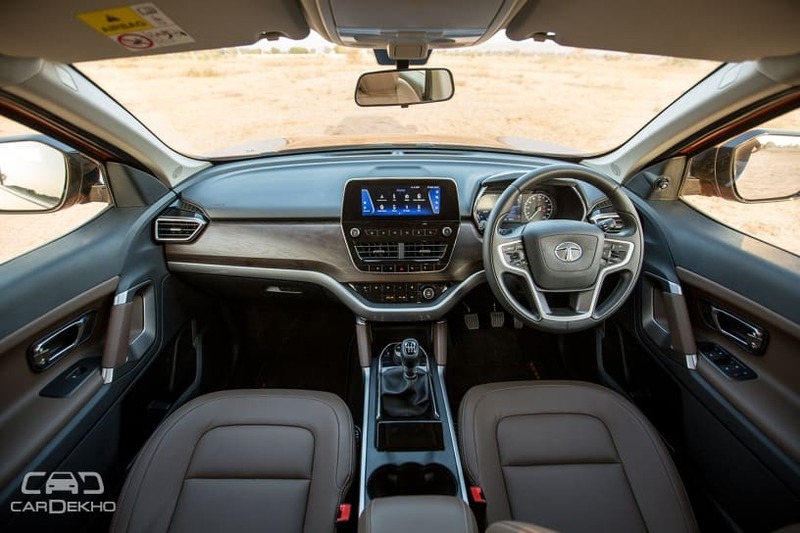 The Harrier is competing with the likes of the Hyundai Creta, and Mahindra XUV 500.